Stephen Curry mania is everywhere. I get it. This guy is amazing. 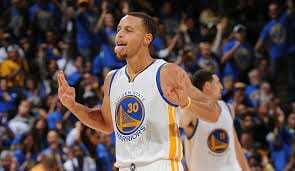 He consistently leads the Golden State Warriors to victory after victory with his incredible stats and fierce competitive spirit. Let’s be honest. This is a guy that couldn’t even get a D1 school to take a look at him coming out of high school. He was small-time, but he had a big-time attitude and a commitment to success that would allow him to press forward. He was the underdog player who turned into one of the best NBA players of his time…and he’s still going. He’s known as being likable and down-to-earth, true to himself and approachable. 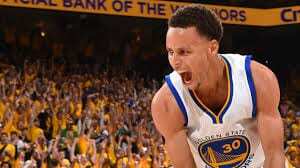 One more thing about Curry…his antics on the court show that he likes to have fun while he’s at work. He does his job despite any adversity, does it well, and keeps a smile the whole time. While we aren’t in the NBA, here at HG Logistics LLC, a third party freight broker in Cincinnati, Ohio, we like to think of ourselves as being a little bit like “Chef Curry”. We aren’t big-time. We are a smaller company and when you call us, we recognize your voice. We are approachable and friendly, and we work alongside one another to be sure that our customers and drivers are all in a great place. Our commitment to being the best at what we do shines through in our determination to overcome adversity. Don’t look past us, we are leaders in what we do. HG Logistics has won awards for our excellent service as well as for our commitment to the community. We have a drive to be amazing, and we think that we are! Call in and talk to us and you’ll quickly find out that HG Logistics employees love to have fun. Service with a smile and a laugh are sure to be on the other end of the phone line. The next time you need to move a freight shipment, give us a call to receive the best service from the MVP of freight- HG Logistics LLC. Talk to any of our other teammates and see just what MVP service is like.